Dr. Chai Lay Ching, food microbiologist from Faculty of Science, University of Malaya (UM), has been named as one of the three recipients for the prestigious L’Oreal-UNESCO for Women in Science Award for her research in developing a real-time method to detect dangerous bacteria causing foodborne diseases in raw chicken. The event took place at W Hotel Kuala Lumpur on 1 November 2018 with YB Yeo Bee Yin, Minister of Energy, Technology, Science, Climate Change and Environment (MESTECC) as the Guest of Honor. 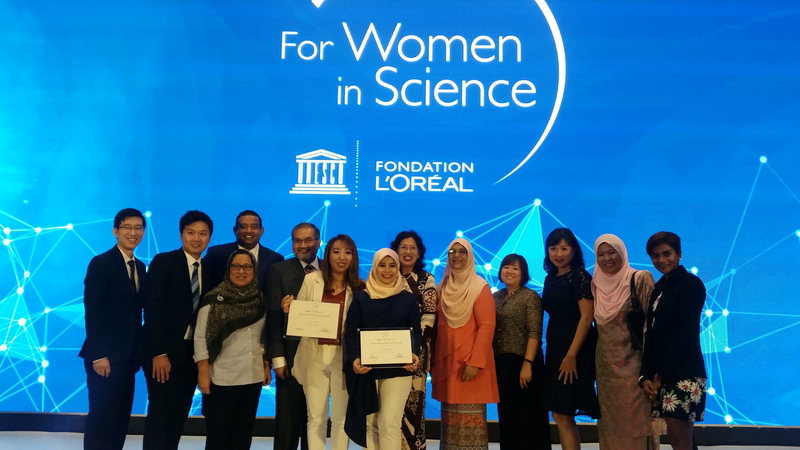 The L’Oreal-UNESCO for Women in Science National Fellowship is an extension to the international L’Oreal-UNESCO awards to provide research grant of RM 30,000 each to three young female researchers to help pursue their research. 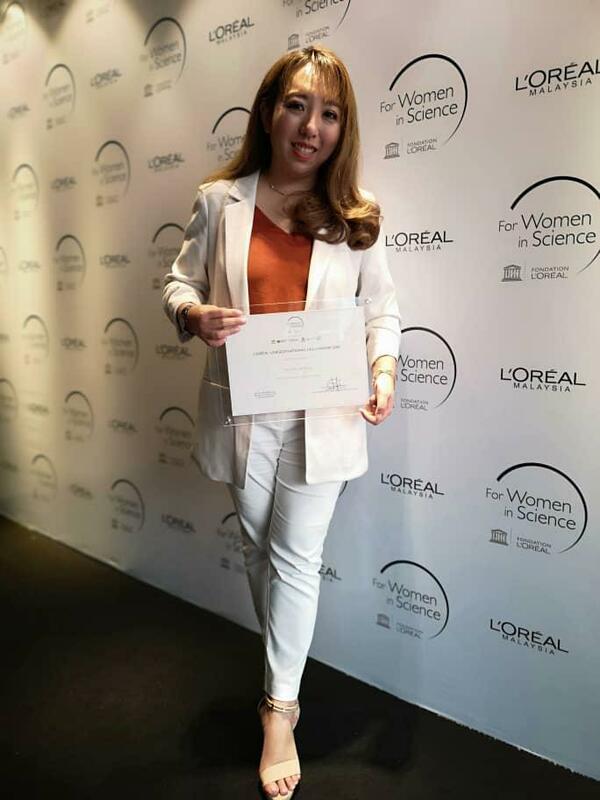 Through the fellowship, L’Oreal-UNESCO not only acknowledges and recognizes the women scientists who are breaking barriers in the field, but also aims to inspire young girls and women who are interested in pursuing a career in research and science. The national program was launched in 2006, with the support of the Malaysian National Commission for UNESCO and in partnership with the Academy of Sciences Malaysia, the Ministry of Education and the Ministry of Energy, Technology, Science, Climate Change and Environment (MESTECC). This year, L’Oreal-UNESCO also launched the “Male Championships for Women in Science” initiative where male scientists are encouraged to contribute to better gender balance in science for more effective progress. The Men for Women in Science manifesto was delivered by Datuk Professor Dr. Awg Bulgiba Awg Mahmud from the University of Malaya. Several studies in Malaysia has shown that nine out of 10 raw chickens in our markets are positive for Salmonella or Campylobacter jejuni contamination. These bacteria are the top causes of foodborne diseases globally, killing more than 150,000 people annually. Unfortunately, the conventional laboratory-based testing approaches of raw chicken are too slow and can no longer meet the demands of today’s large-scale food production. Dr. Chai’s work, “Using science to sniff out highly pathogenic bacteria in food, savings lives and reducing morbidities-associated with these bacteria”, found that Campylobacter produces a very specific scent when grow on the agar plate, hence allowing her to correctly identify samples with Campylobacter from the negatives ones. Dr. Chai believes that the L’Oréal-UNESCO For Women in Science Award is a great effort to promote women in science. “To the young girls out there, dare to dream and go for it. Always set your goal high, and work hard for it. Science is not a career for man; historically, many females have proven that women, too, can make very successful scientists.” Dr. Chai said. Dr. Chai’s proposed solution is based on the detection of specific Volatile Organic Compounds (VOCs) produced by bacteria to identify pathogenic bacteria in food. This work is key for the future development of VOC-based biosensors or electric nose that meet the ideal high – throughout detection criteria. It can also be automated, is easy to perform and instantly detects contamination. The successful completion of this project will lead to a better understanding of bacterial metabolism and adaption in different types of substrates, which will help us understand the impact of environment on bacterial growth.